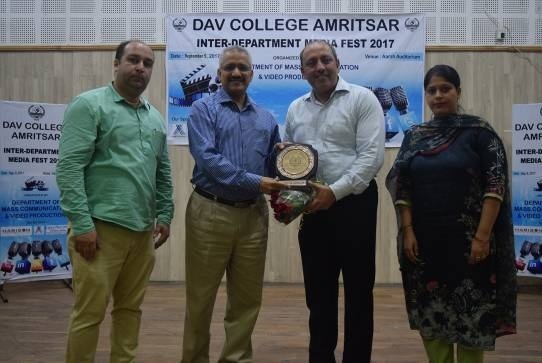 NEWS The Department of Mass Communication & Video Production organized a one-day Inter-Department Media Fest on September 9, 2017 in which students of various departments of the College participated with zeal and enthusiasm. The main objective of the event was to find out hidden talent among students so that they can successfully choose the most suited platform for them in years to come. There were a total of twelve categories in the festival against which students competed. The events included Falsie fire, Radio Jockey, Debate, Photography, Ad Mad, Song Prediction, Interview, Caption Writing, News Reading, Mobile Film Making and Choreography. Mr. Harnek Singh Aulakh, Actor & Director and owner of Paparazzi Films was the chief guest on the occasion and other experts were Rajiv Sharma, Reporter ABP, Anuj Sharma, Reporter Dainik Bhaskar, RJ Vishesh from 98.3 Red FM who also adjudged few events. 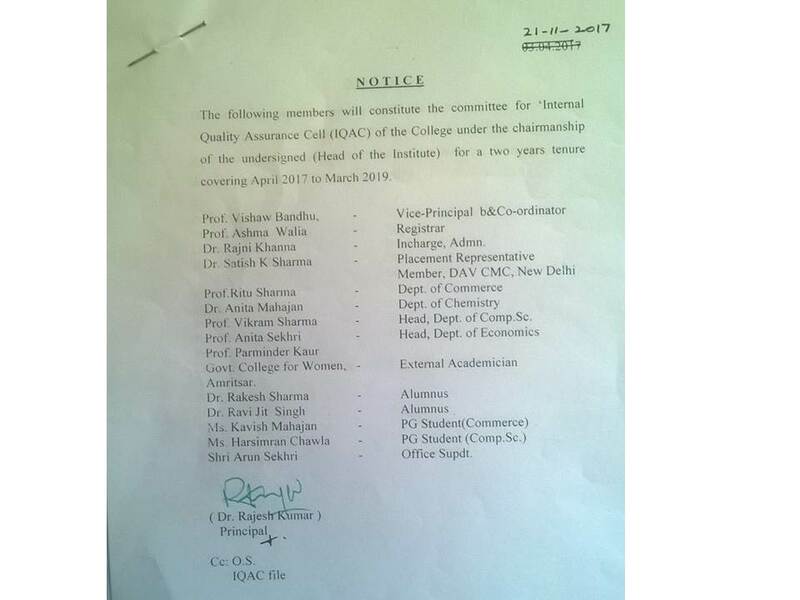 Approximately 150 students from different departments of the college participated with full enthusiasm & zeal in all the events and put forward their best performances.